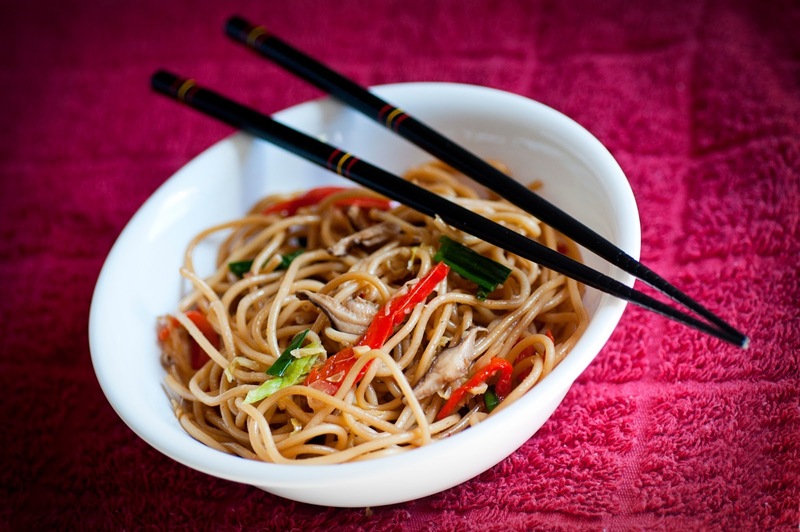 Last week, I was in the mood for lo mein. It seems everyone else in my neighborhood had the same idea because the grocery store was sold out of almost everything I had planned on adding to the dish. Good thing I just make stuff up as a go along. Assorted veggies prepped and ready to cook. Step 1: Cook spaghetti noodles according to the package directions. Drain the water from the noodles, put 1T of sesame oil in the bottom of the pot used to cook the noodles, add the drained noodles back to the pot and stir. This keeps the noodles from sticking together. 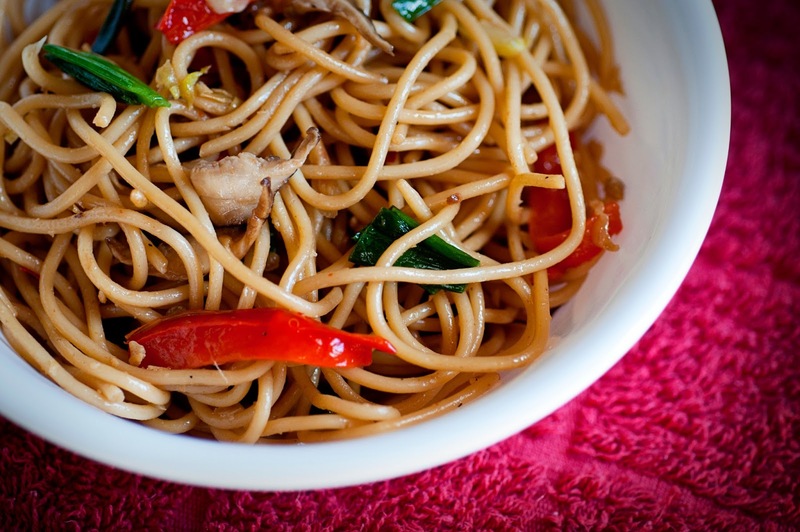 The Wok: Most useful kitchen gadget ever. 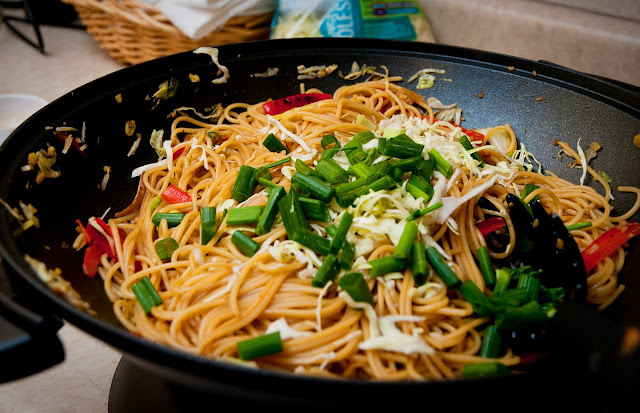 Step 4: Add Noodles, shiitake mushooms, 1/2C soy sauce, 1/2t red pepper flakes, and green onions. 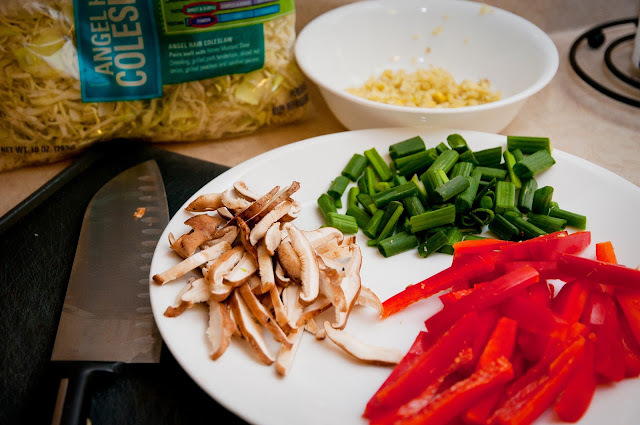 Stir fry for another 3-5 minutes so the noodles are evenly coated with soy sauce and red pepper flakes. Also, I need some new props for food photography.